It’s due to ParticleSystem asset upgrade, we are parsing base64 to image file during import in 2.0, but apparently many base64 encoded image failed to be decoded in the current version. For such particle assets, you need to use external png to make running. But don’t worry, we will revert the asset upgrade in 2.0.1. The cc.Color.fromHSV function returns with wrong color. It seems that r-a components are mixed. Camera rotation doesn’t work. Any solutions? It doesn’t remember node’s fold/unfold states in the tree. 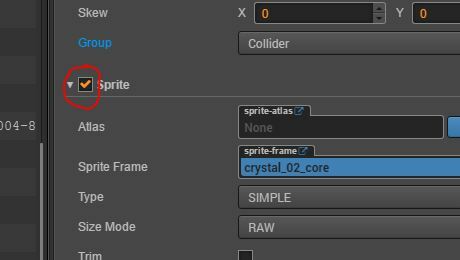 All particle system data reverted to default when I opened scene while my particle system is using external PNG files and using custom settings without plist file. Generated APK cannot be installed on Android devices. Any solution for this? It doesn’t reveal related node in the node tree when I click on a property of component. It just highlights if node is already visible in tree. Hi! Thank you for the update! I just upgraded project and noticed that cc.textureCache is removed. I was using it to download a remote texture with cc.textureCache.addImageAsync function. Could you please tell me what is correct alternative to do this now in 2.0.0? I just upgraded project and noticed that cc.textureCache is removed. I was using it to download a remote texture with cc.textureCache.addImageAsync function. Could you please tell me what is correct alternative to do this now in 2.0.0? Is it OK to use res.json? It worked fine with 1.9.x. Under wine: Cocos creator can not be installed on systems with Windows Installer version smaller than 2.0, not work under virtual machine due to lack of 3D. Can you register a event using node.on(“Event name”, function, node-Target) then trying dispatcher some event using emit with same Event name registered before. It’ll will call Script of node have destroyed. Check script’s uid, you can see. 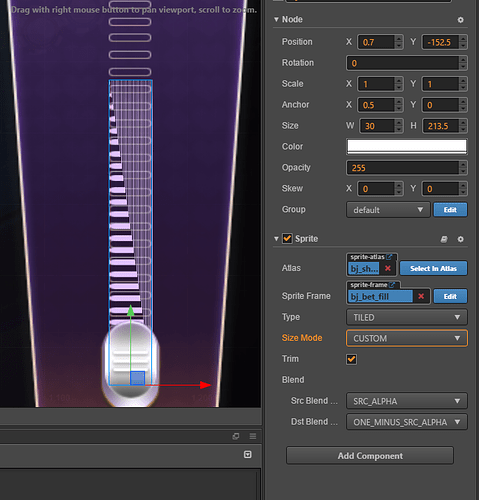 May a problem with sprite component type “TIED” about rendering. I think intended behaviour should be like this, please correct me if I’m wrong. The checkbox actually enables/disables component? on another note, can you tell me what happened to _ccsg class in 2.0? is it possible to access _ccsg.GraphicsNode() another way in 2.0? @pandamicro when can we expect v2.0.1? Any estimated release date? Coz I am thinking about upgrading to 2.x but 2.0 seems to be with too many bugs. I would like to ask if there were some changes made to CocosCreator v2.0, regarding cocos2d::Director::getInstance(). A lot of function calls that utilize cocos2d::Director::getInstance() were removed/commented. but it seems that the compiler still marks ‘Application’ has not been declared.